If you are preparing a veg curry and you wish to add some extra zing, you may achieve your goal by simply garnishing the dish with cottage cheese fritters. It also boosts the health quotient of your dish. Note: Use a blender to mince the cottage cheese into tiny particles. 1) In a mixing bowl, mix in all the ingredients together and in case the mixture seems gooey still, add some more all-purpose flour and balance that out by adding cornflour too in 3:1 proportion. Knead them into a smooth mixture so that you can make balls out of them for deep frying. 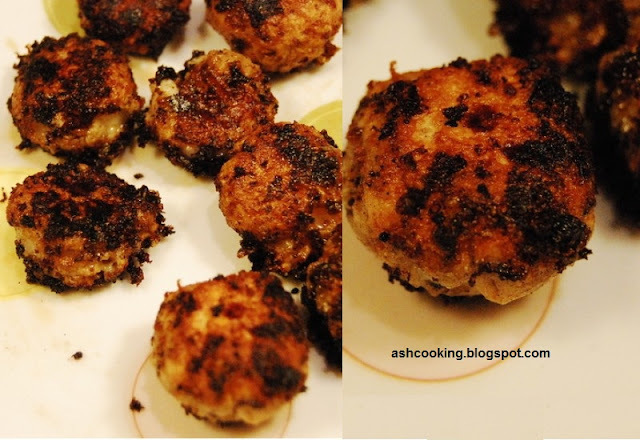 2) Once the mixture is kneaded, make small balls out of them and deep fry. 3) You can have them on their own with sauce or chutney or you may use them in curries.